Turkey in Europe, and Greece. 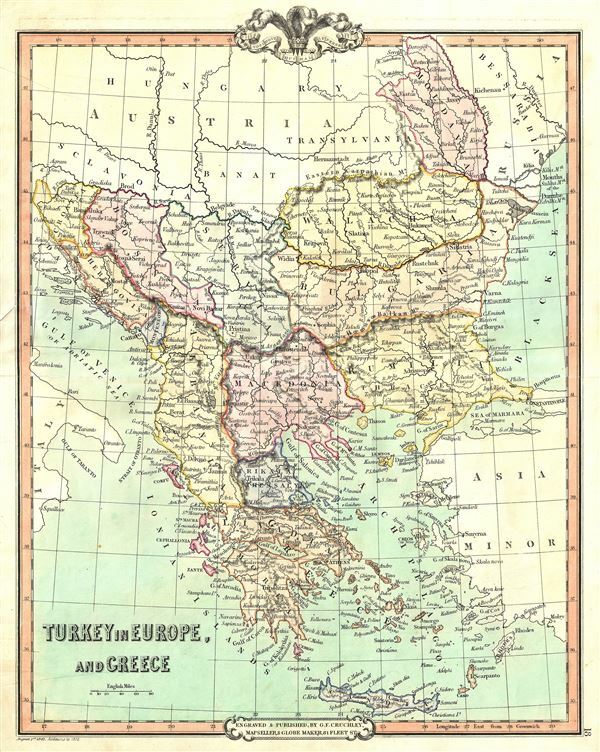 This is a beautiful 1852 map of Greece, the Balkans and the European part of Turkey by George Frederick Cruchley. It covers from Moldavia to Candia and from the Gulf of Venice or the Adriatic Sea to the Sea of Marmara. The modern day states of Greece, Albania, Moldova, Bosnia, Croatia, Serbia, Bulgaria and Romania are included. Throughout, major towns, cities, rivers, mountains and other topographical features are noted.